Wedding is most memorable event in our beautiful life. All people like to wear latest and gorgeous shoes on her wedding So, choose the right accessories for you wedding day because it’s a very special day in once life. In wedding the most useful and memorable things are dress, shoes, makeup, jewellery and photography. Here we have a idea of matching bridal shoes to give a complete bridal look. Every bridal also love to wear high heel expensive shoes for wedding day. High heel shoes make the bridal personality is stunning and dazzling. 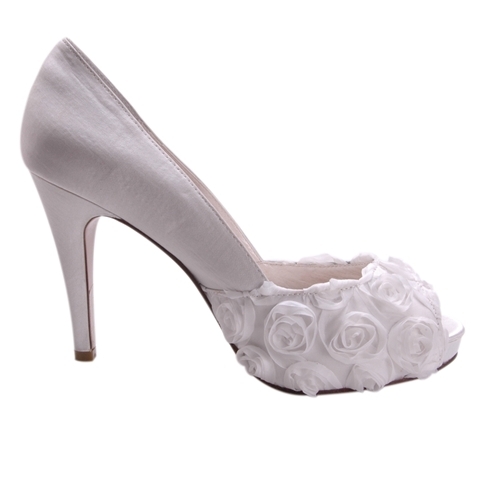 In this post we have shown you the beautiful pump bridal shoes in different color and many straps for foot safety. I love high heel shoes and i would like to share my choice with my online friends.